We are a hardworking, straight talking and dynamic organization. Small enough to give every project a custom approach and big enough to manage large scale international film productions. We've been able to work for some of the biggest brands in the world, and deliver on time, on budget and beyond expectations. We are Luti Media. No symbolism is lost on the Carters. 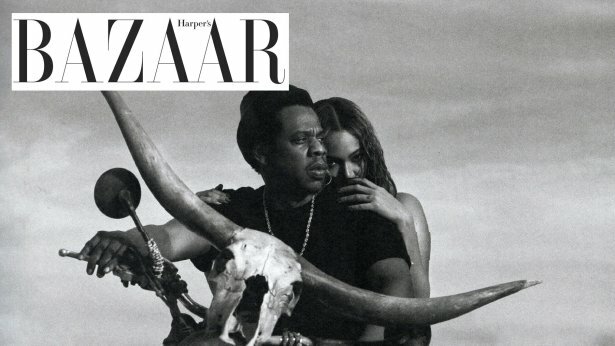 When Beyonce and JAY-Z announced yesterday that they're launching a joint On The Run II Tour this summer, the power couple dropped a soon-to-be-iconic tour promo trailer, which includes gorgeous black-and-white stills of the two straddling a cow-skull-fronted motorbike. It turns out, the artistic imagery is a deliberate reference and homage to the 1970's classic African film, Touki Bouki. The 1973 Senegalese motion picture was written and directed by Djibril Diop Mambety in Wolof, a native language of Senegal, and its title roughly translates to 'The Hyena's Journey.' The story follows a young couple from Dakar, Senegal's capital, who steal and scheme to acquire the money to travel to Paris, their dream city. 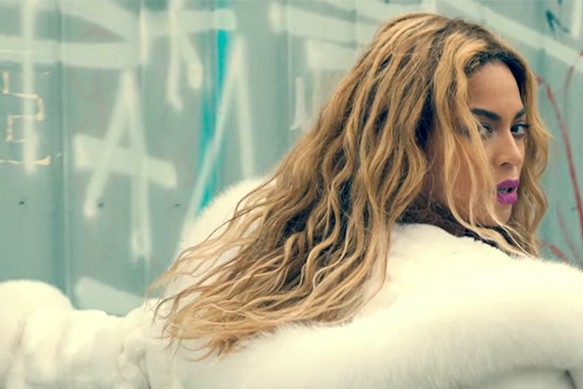 The leading pair is reminiscent of Bonny and Clyde (whom Bey and JAY have compared themselves to before) and they're literally on the run. Sony's Superfly film is assembling a team aptly fit for its title. As Deadline previously reported, Director X is officially attached to direct the remake with Trevor Jackson confirmed to star as Youngblood Priest. In addition, Mudbound and Straight Outta Compton star Jason Mitchell has signed on to co-star as Eddie, along with Lex Scott Davis as Georgia, Andrea Londo as Cynthia, Jacob Ming-Trent (Showtime's White Famous) as Fat Freddy, and Omar Chapparo as Adalberto. Music video and entertainment platform VEVO announced Tuesday that within 24 hours of the release of the British group's music video for the catchy track, it had garnered 10.9 million views. The video beat out fellow young artist Miley Cyrus' 'We Can't Stop' clip, which held the one-day record at 10.7 million views. The clip proved that the boy banders can not only sing but also act as they play employees in the music industry. 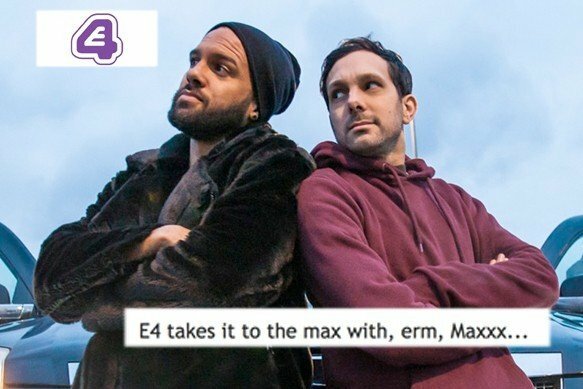 Maxxx is a brand new 6 X 30' comedy series that centres around formerly famous boyband star turned drug-shamed tabloid laughing stock Maxxx (O-T Fagbenle - The Handmaid's Tale, NW, Looking). He's down, but not out...he's trying to make a comeback to prove to the world - but mostly to his famous popstar ex-girlfriend - that he's not the massive loser everyone says he is. 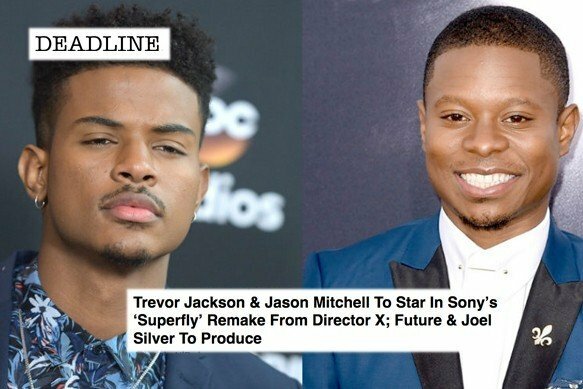 Now X is getting his chance at a studio movie, as he's director of the reboot of the Blaxploitation classic, 'Superfly' (in theaters). The plot points are similar to the original movie (1972 'Super Fly') � a cocaine dealer named Priest (played by Ron O'Neal in the original movie and Trevor Jackson in the reboot) is out for one last major score � but the new version tweaked it to give it more of a 2018 feel.Instead of being set in New York City, it's in Atlanta and instead of the cops providing Priest with the massive amounts of cocaine to sell, like in the original, a Mexican cartel is the distributor. These changes and the injection of hip-hop in the movie (the soundtrack was produced by artist Future) make it an experience at the multiplex that is extremely entertaining. 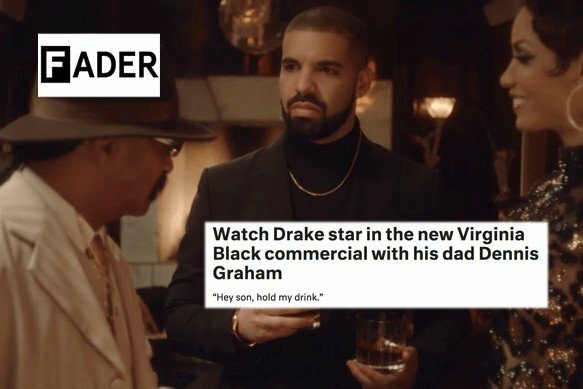 Director X directs Drake's new commercial for his whiskey, Virginia Black. Drake's 'Hotline Bling' video remains one of the most-memed moments of the past few years, with the OVO boss' goofy dance moves inspiring a wide array of parodies from good (Ellen's fake Bernie Sanders) to terrible (Donald Trump on SNL). The video dropped in October 2015 and has since earned over 1.3 billion YouTube views. Genius linked up with Director X to break down how the legendary video came together. Australian rapstress Iggy Azalea and British alt-pop songbird Charli XCX pay tribute to the '90s classic Clueless in the video for their single 'Fancy,' which recreates the film's most famous scenes with fastidious attention to detail. Azalea serves as a fine surrogate for Alicia Silverstone's Cher Horowitz in a series of iconic costumes and set pieces (the video was shot in the same school as Clueless), while Charli vamps convincingly on hook duty. 'Fancy' may not be the monster single fans had anticipated from the much-hyped femcee (look no further than 'Work' for that), but even those who find the song lackluster will have a tough time resisting the charms of the clip. Watch it up top. O-T Fagbenle, who currently stars in hit show 'The Handmaid's Tale,' stars, writes, and directs this new comedy mini series for Channel 4. 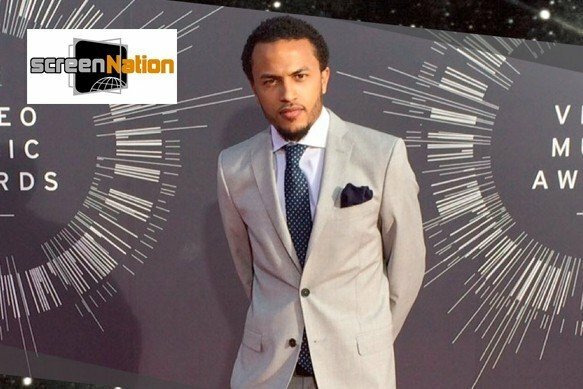 The series is produced by his brother Luti Fagbenle, a prolific international music video producer and founder of production company Luti Media. MAXXX is of the lineage of classic British anti-hero episodic sitcoms influenced by series such as 'Black Adder', 'Fawlty Towers' and 'The Office'. It follows the escapades of a former boy band star 'MAXXX' as he throws all dignity and decorum out of the window in a desperate bid to become famous again. Billboard is celebrating the music video with a week's worth of content that looks at the past, present and future of the video, at a time when it seems to be as relevant as ever. 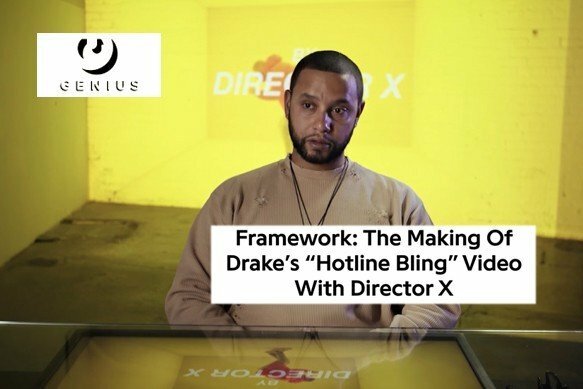 Here, we spoke to Director X about some of the most iconic videos he's helmed during his two-decade career. 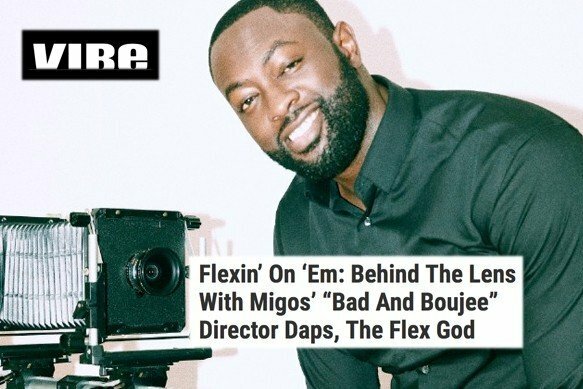 In the 20 years since his late-'90s debut, Director X has established himself as one of this generation's most legendary music video directors. 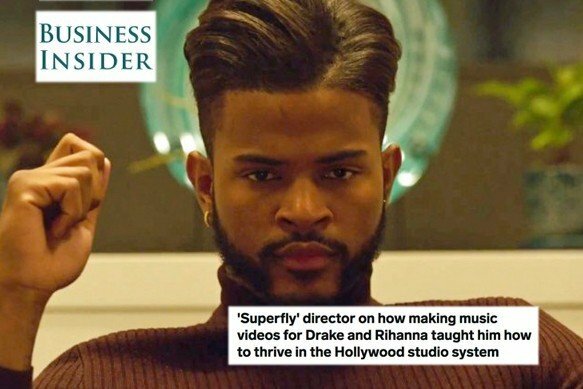 From his signature horizontal opening scenes to his consistent celebrating of his Caribbean roots, the Toronto native's visual innovation has brought hits of many artists across genres to life -- Fifth Harmony's 'Work from Home,' Kendrick Lamar's 'King Kunta,' Ciara's 'Body Party,' Justin Bieber's 'Boyfriend,' Nelly Furtado's 'Promiscuous,' Usher's 'Yeah' and dozens of others. Yet there is a less-memorialized video the former Hype Williams protege points to as helping catapult his career. 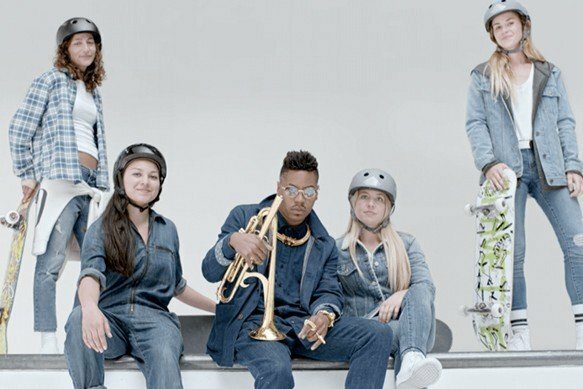 Luti Media are proud to represent award winning and cutting-edge director collective Trizz for UK commercials and branded content. Based in Barcelona, Trizz is renowned for crafting bold, striking, and intricate visual experiences through Live Action, CG and VFX. By combining their deep love for art and design with masterful technological elements, the filmmakers are reshaping what it means to elevate brands though bespoke on-screen narratives, which are infused with luxury and sophistication. Who's caught up on the VMAs? Luti Media is proud to announce that its directors were nominated for 5 awards. Luti Fagbenle will join this year's speakers at Cannes Lions Festival of Creativity 2017. The Luti Media founder will join a panel of creative advertising experts for Mission Agnostic on Wednesday 21st, 11.00am, Cannes Lions Studio. As the 2018 Grammy nominations show, hip-hop's dominance was greater than ever over the past year, and Spotify's RapCaviar playlist has played no small role in consolidating the genre's strength. 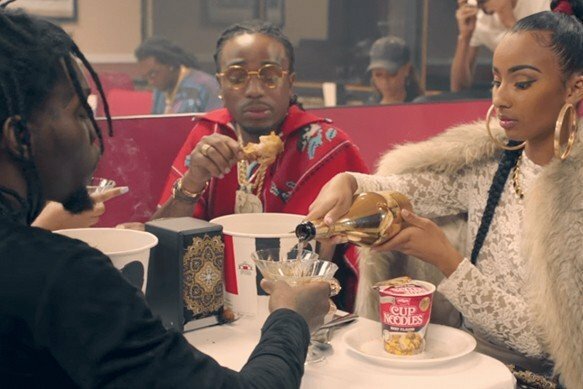 To celebrate the three breakthrough hip-hop artists of the year, the company is launching the inaugural RapCaviar Pantheon, which will pay tribute every year to rising stars in unique artistic formats. According to a press release, the artists were decided by a combination of data and curation, in keeping with the curatorial approach of the RapCaviar playlist. 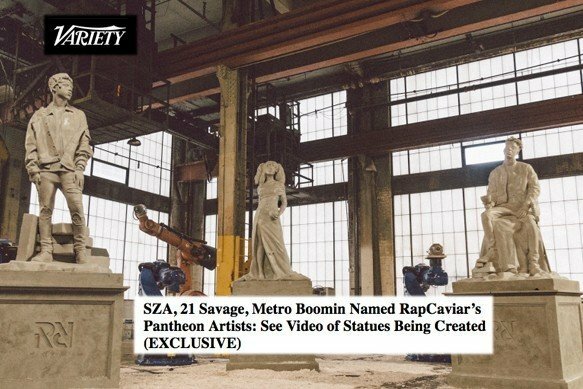 For the launch, the company has created three life-size sculptures of this year's inductees - Metro Boomin, SZA and21 Savage, which will be unveiled in an exhibition Thursday night at the Brooklyn Museum. Additionally, Spotify has partnered with Director X to create an exclusive short film that chronicles the creation of these sculptures. With voiceover from Pharrell, the film takes a deeper look into why the artists were chosen to be a part of the program. 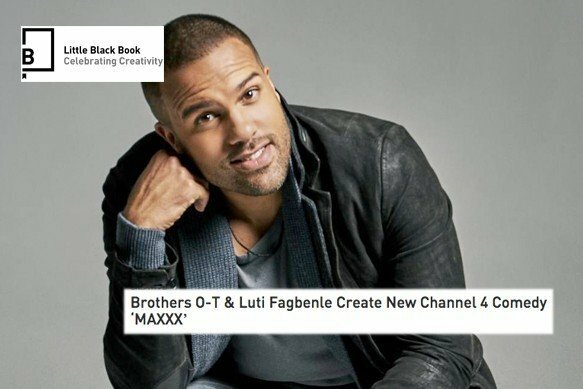 Excited to share our new comedy series MAXXX, written, directed and starring O-T Fagbenle for Luti Media and Channel 4. Follow MAXXX on Instagram, @OfficialMaxxx, and Twitter, @OfficialMaxxx, for the latest updates. Winner of the first Digital Vanguard Award is the pioneering producer LUTI FAGBENLE, one of the UK's top digital producers and founder and CEO of LUTI MEDIA, the hugely succesful UK digital production company working across music promos, commercials and films. 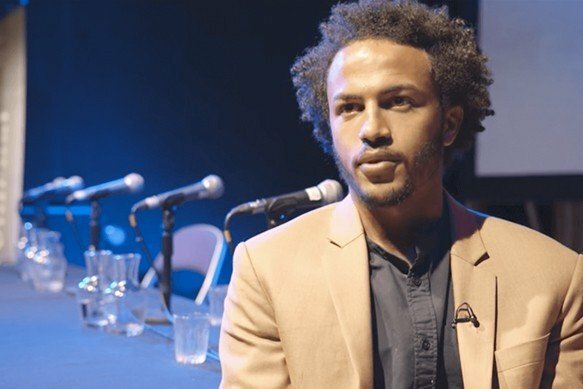 Luti is a BAFTA-nominated film producer and entrepreneur and in 2006 Luti founded the innovative production company Luti Media. 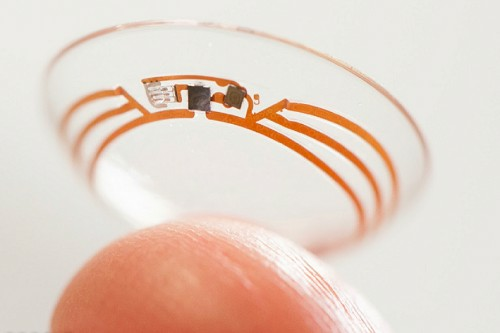 The company has produced hundreds of music videos, commercials and films. Their work has been honoured with nominations and awards from the MTV VMAs, BAFTA, The MOBO Awards, Virgin Media Shorts, the UKMVAs and others. 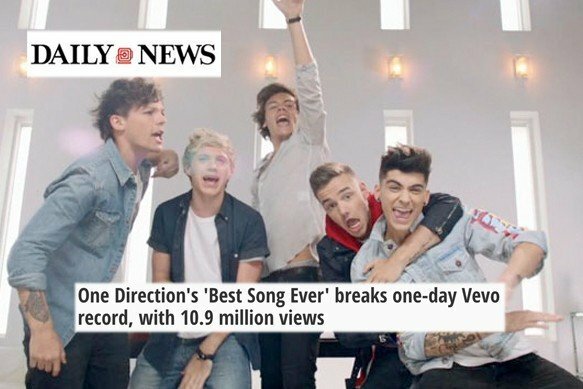 In 2013 Luti's video for One Direction 'Best Song Ever' broke the record on VEVO for views in 24 hours. He is best known for producing music videos for high profile recording artists such as One Direction, Nicki Minaj, Missy Elliott, Kanye West, Snoop Dogg, Cheryl Cole, Olly Murs, The Wanted, Flo Rida, Nicole Scherzinger, Akon, Pitbull, JLS and Girls Aloud. Luti is a frequent collaborator with high profile international Directors such as Colin Tilley, Director X, Anthony Mandler, Kanye West, Ray Kay, Marc Klasfeld and others. Luti Media Produces Alexander Wang Autumn/Winter Campaign. 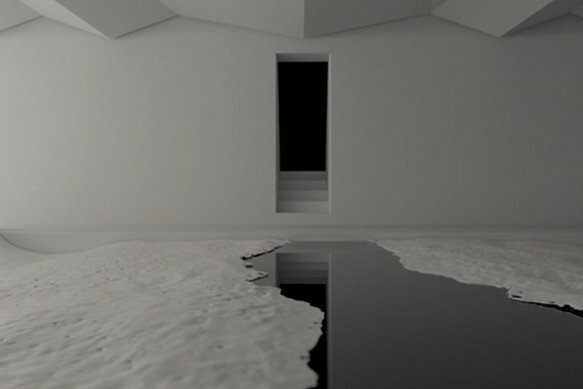 Luti Media, a London and LA based production company, takes another pioneering move from music videos into commercials with a series of videos for Alexander Wang, directed by award winning Director X.
Wang and X paired up to create a series of films, released through social media only, for the Fall/Winter 2016 collection which was inspired by Wang's community of real New York youthful instigators. The 60 sec clip released today via Instagram stars Kylie Jenner, Skrillex, Tyga, Zoe Kravitz, to name but a few. The visuals take its spectators through an odyssey of an old school Beverly Hills Mansion party where partygoers, and models express an untamed individuality in fashion as well as unchained behavior. Watch the latest beautifully executed collaboration between veteran British fashion designer Anya Hindmarch and Luti Media director Bouha Kazmi. Circulus Spring Summer 2017 explores the relationship between geometry and art, breaking ground between science and design, form and function. 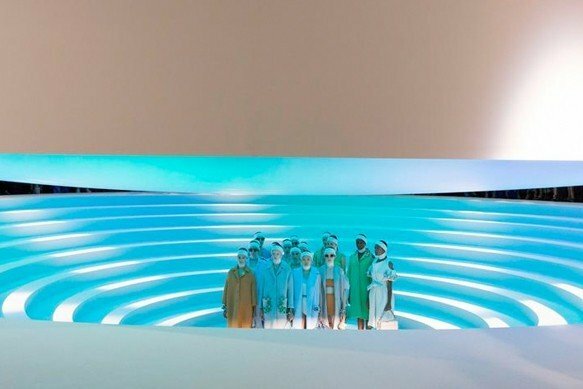 This latest presentation continues the creative, witty and architectural approach to the staging established as part of a trilogy of iconic London Fashion Week shows. The collection unfolded across a vast circular tiered stage that featured a giant illuminated suspended disc as its centrepiece. Over the course of the show the disc altered angle and colour like a colossal setting sun as the models entered and exited the evolving set. This is the sixth occasion that director Bouha Kazmi and Luti Media have worked with Anya and her team - Circulus was without a doubt the most phenomenal and memorable from all of this year's London Fashion Week events. 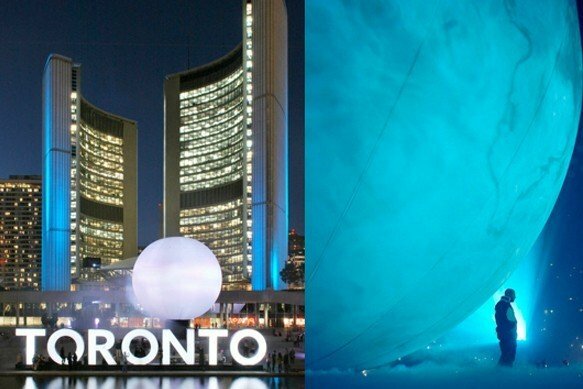 Director X's first foray into installation art 'Death of the Sun' became the centrepiece of prestigious Tornoto art festival Nuit Blanche, and now it has gone on tour with Drake. The large scale mixed media piece is an immersive experience where the observer will witness a massive sculpture of the sun as it progresses through its life cycle. A deeply personal and highly evocative meditation on human mortality and people's individual place in the universe, this installation portrays the death of the star that sustains this planet. 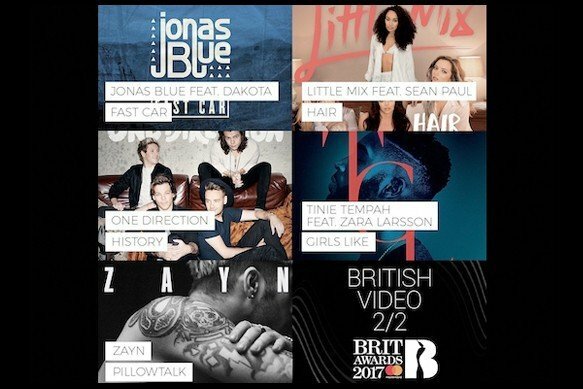 We are exhilarated to announce That Luti Media directors Bouha Kazmi and Director X have been nominated for Best British Artist Video at the 2017 BRIT AWARDS. Bouha Kazmi - Zayn Pillow talk - Bouha created a video that brings together solitary hypnotic visual effects and cultivating sensual performances from Zayn and Gigi Hadid, the video was YouTubes most viewed in 2016 and still going. Director X -Little Mix Hair - X has worked with the girls recurrently for many years, there collaborations, create videos, that are distinctive and fun, ranking their videos as the best pop visuals of there time. 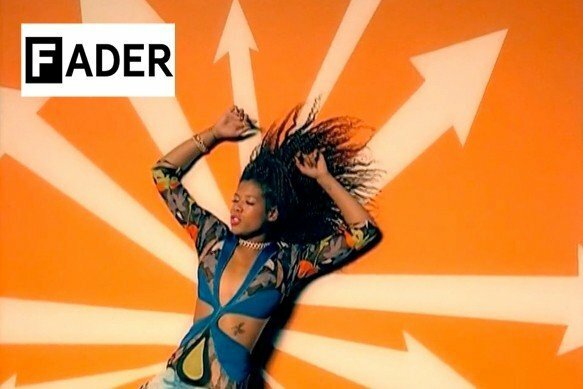 Hair is definitely another iconic video to add to the list, the creative idea for the video, places the girls in a MAJOR pyjama party, the girls show off some exclusive sassy dance moves and have ultimately started a new trend of vibrant fierce girl power. Zayn Malik's highly anticipated debut solo single, 'Pillowtalk', the first single off his LP: Mind of Mine. Within 24 hours of the release of Luti Media produced music video the single was propelled to Number One in 68 countries around the world. The video, Directed by Bouha Kazmi, amassed over 9.5m views on YouTube in less than 24 hours and is currently the most watched video released this year. Not just the most watched music video its the most watched video on the internet of any kind this year. The surreal 'Pillowtalk' features Zayn's super model girlfriend, Gigi Hadid and is packed with hypnotic and provocative visuals. New York-based director @LILINTERNET is now represented by Luti Media for all European Music videos and commercials. His many achievements include directing videos for A-list artists such as Beyonce, Major Lazer, Diplo & Brooke Candy. Known for his raw, versatile imagination, his home-grown talent reveals an ability to create projects that capture a sense realism while also depicting hidden beauty. Luti Media holds a reputation of signing directors that represent creativity in a unique way and are very excited to embark on this journey with @LILINTERNET. @LILINTERNET most recently directed a new music video for Boy's Noise Overthrow a powerful clip with an unexpected twist. 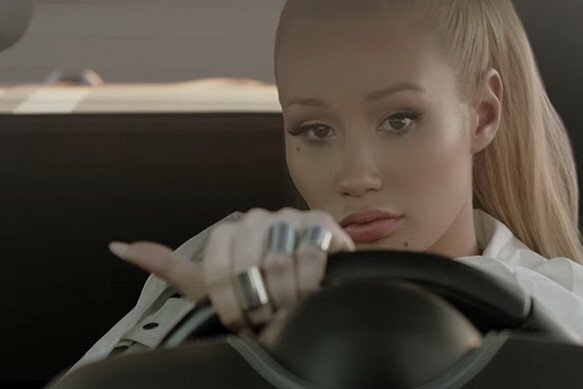 Director Fabien Montique has delivered this slick, edgy video for Iggy Azalea's new single Team, co-directed by Daps who also worked as a creative on Iggy Azalea's Fancy and Black Widow. It was an audacious production where producers shut down an airport and vandalised a private jet to help create Fabien's vision. The music video for 'Hotline Bling,' Directed by Luti Media's Director X, was just released and it has taken over all social media platforms! From the original video to parodies, dub remakes, GIFs, and memes. People cannot get enough of Drake's interesting choice of choreography. Director X expresses in multiple interviews that this is the exact reason behind all the attraction. Drake's dance moves were a huge part in planning the success of this video and not a coincidence at all. X and Drake's keyword to the entire video was 'fun'--the result? Drake hitting that cha-cha and X's brilliant hot pink color scheme. What's more fun than dancing like nobody is watching? Ironically, the entire world is watching and loving every minute. 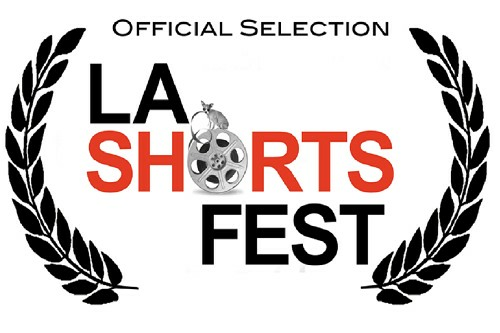 Bouha Kazmis video for The Ramona Flowers single Tokyo has won Best Music Video at the 18th Los Angeles International Short Film Festival (LA Shorts Fest). The festival, ranked among the most prestigious international festivals in the world, showcased films in 8 categories from 17 countries and is accredited by The Academy of Motion Picture Arts & Sciences, and the British Academy of Film and Television Arts. 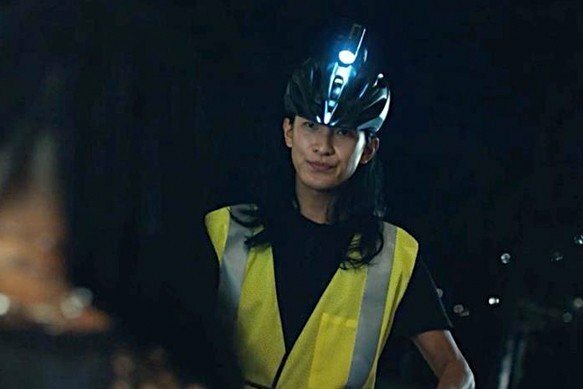 Bouhas video beat out fellow nominees in the Best Music Video category that included Philip Andelmans Duck Sauce It is You, Joe Zohars Gramatik ;Brave Men, Matt Larson and Zack Spiegers Talisco ;Run, and Warren Fus Haim ;If I Could Change Your Mind. 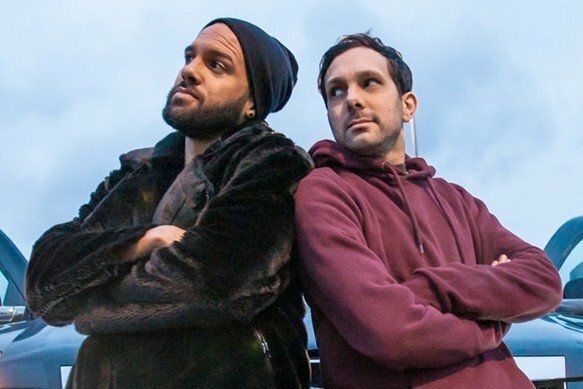 Channel 4 has commissioned actor, writer and director O-T Fagbenle and his multi award-wining producing brother, Luti Fagbenle to develop Contact, an exciting new comedy script commission for the major TV network. O-T Fagbenle's script idea was eagerly picked up by Channel 4 Head of Comedy, Phil Clarke, and will be in the form of an ethnically diverse teen comedy. Noted for its appealing 'Iron Man meets Superbad' undertones, the pilot trailer which inspired the show produced by LUT! MED!A and written by O-T Fagbenle, is available visit here.